On May 11 and 12, Construction Resources will host a huge sales event at its showroom and indoor slab gallery at 224 Rio Circle, Decatur, Ga. 30030. While there will be a wide variety of their kitchen and bath products on sale, environmentally-conscious buyers will be most excited to hear that there will be special deals on Cambria quartz and Vetrazzo recycled glass countertops. Cambria quartz countertops are the only domestically produced quartz surfaces and go through an extensive recovery and recycling of water used in the production process. This results in greatly reduced water loss. Combined with the lack of carbon footprint from having to ship the countertops internationally to reach the slab gallery, it is one of the most ecologically-friendly surfaces on the market. During the sale, all Cambria products will be 15 percent off and all quartz remnant inventory will be $10 per square foot. 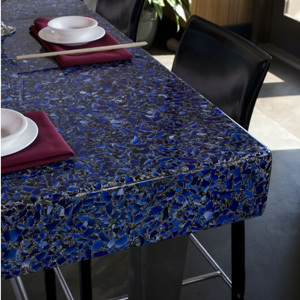 Vetrazzo recycled glass countertops will also be featured in the sale. These 100 percent recycled glass counter surfaces join the wide array of other brands on sale, including Artisan Stone Collection, Kohler, Saratoga Soapstone, Heritage Wood, Caesarstone, Silestone, Corian, Zodiaq, Shaw, HiMacs, Viatera, Dal Tile, Artisan Sinks, Coastal, Closet Maid, Atlanta Marble Mfg. and Mohawk. You won’t have to worry about missing a deal across the huge 13 acre facility, as there will be a shuttle to run guests from the indoor slab gallery, slab yard and other buildings. 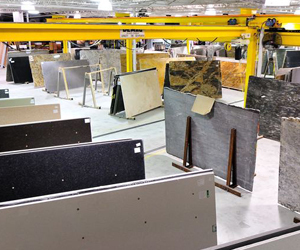 You can explore all over to find more than 3,000 granite and quartz slabs with hundreds of colors, styles and sizes to choose from. More than 30 experienced Construction Resources Project Managers will be on site to assist with your selection process. Make sure to mark your calendars for this event on May 11 and 12! 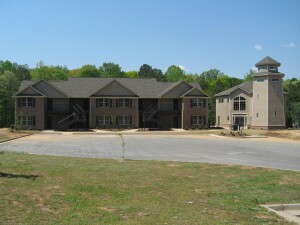 For more information about Construction Resources and the products on sale, visit their website www.constructionresourcesusa.com. This entry was posted in Energy Efficient, Featured, Green Design Trends, Green News, News and tagged Cambria Quartz Countertops, construction resources, Vetrazzo Recycled Glass countertops on April 10, 2012 by Carol Morgan. When you toss all of your glass recyclables together and leave them at the curb, do you ever wonder what that bottle of wine or salad dressing jar will become? Do you ever buy recycled items and wonder what their previous lives were? If you are remodeling your kitchen or bathrooms, Vetrazzo offers unique countertops that each tell their own story. Vetrazzo is a unique surface comprised of glass and concrete. All glass is recycled and makes up about 83 percent of the final material by weight. Each shard of glass in the countertops tells a story. The largest proportion of glass comes from curbside recycling programs, but glass also comes from post industrial usage, dinnerware, stemware, automotive windshields, stained glass, laboratory glass and other unusual sources such as decommissioned traffic lights. When a buyer purchases Vetrazzo, a Certificate of Transformation is provided, revealing exactly where the glass in the countertop came from. For residents in the Southeast, Vetrazzo is especially eco-friendly, being manufactured just north of Atlanta in the sleepy town of Tate, Ga.
For more information or to decide if Vetrazzo countertops are right for your eco-remodel, visit the Construction Resources website. This entry was posted in Green Design Trends and tagged atlanta kitchen, construction resources, vetrazzo on April 7, 2011 by Carol Morgan.